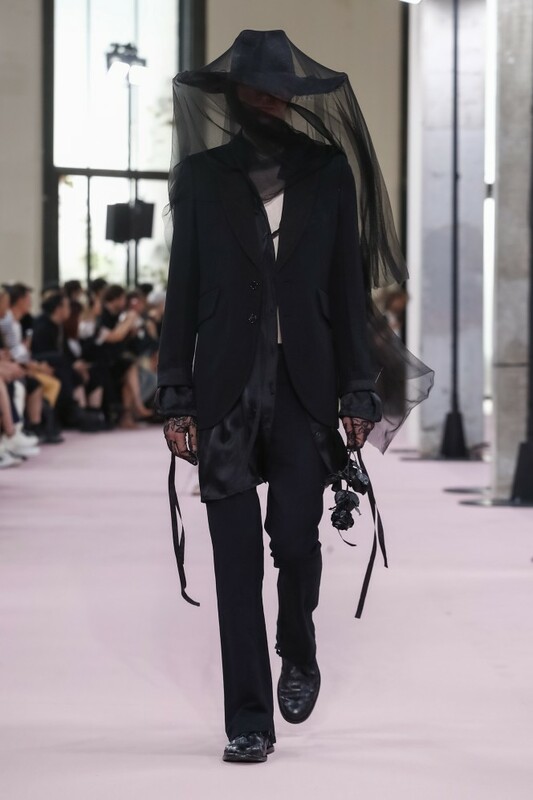 Continuing his run of ravishingly romantic collections for Ann Demeulemeester, this season Sébastian Meunier turned an unlikely new chapter, exploring a very literal notion of romance: a gothic, genderless vision of bridalwear. 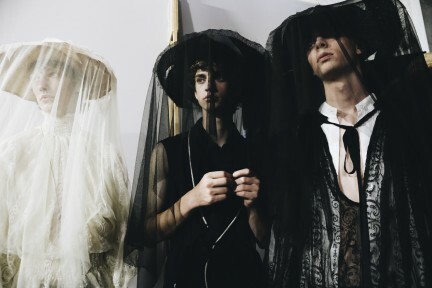 To the eerie strains of Irish folk songs, models came out wearing gauzy veils over relaxed tailoring and smoking jackets cinched at the waist with ropes, while ribbons dragged behind them like ghostly vapour trails. It felt both luxurious and literary: a royal dauphin marrying a peasant girl, or a Daphne du Maurier bride if she visited a medieval French village. The models clutched black roses, symbolically associated with both witchcraft and anarchy. It felt appropriate that he referenced Odilon Redon, whose nightmarish visions of abstract goblins and ghouls perhaps overshadow his colourful paintings that were odes to fertility. 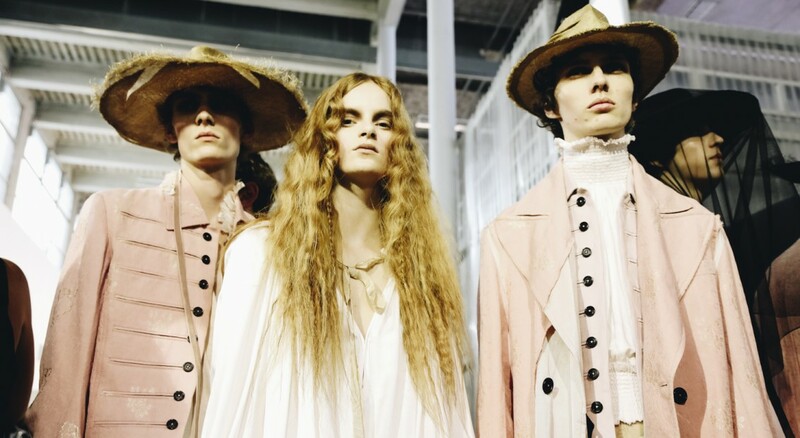 Meunier’s vision for Ann Demeulemeester operates around a similar paradox: in this case, the white gowns worn by women punctuated the gloom with a purposeful sense of both innocence and hope. Even outside of these more cerebral references to Parisian history, there were gorgeous jackets on offer that will sell like hotcakes to a particular kind of rakish man that Meunier is steadily establishing as a core customer. There was plenty to satisfy these free-wheeling flaneurs of today.